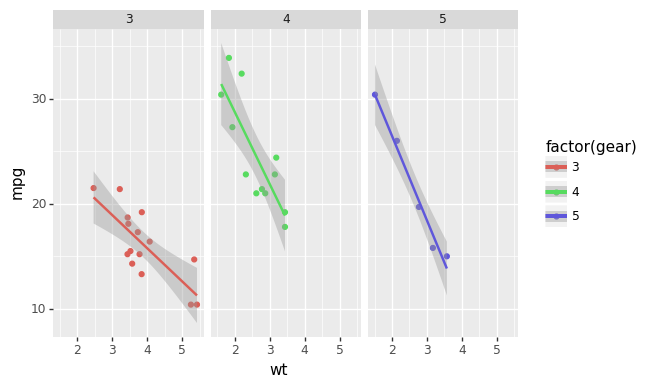 plotnine is an implementation of a grammar of graphics in Python, it is based on ggplot2. The grammar allows users to compose plots by explicitly mapping data to the visual objects that make up the plot. Plotting with a grammar is powerful, it makes custom (and otherwise complex) plots are easy to think about and then create, while the simple plots remain simple. © Copyright 2017, Hassan Kibirige.